The activity of the crypto-exchanges have been legalized in Uzbekistan, Podrobno.uz reported referring to the resolution of the head of state. The clear measures for the activity of these institutions in the country have been introduced for the first time at the legislative level in the decree "On measures to organize the activities of crypto-exchanges in Uzbekistan". Thus, it is noted in the document that an organization that provides an electronic platform for the exchange, purchase and sale of crypto-assets is recognized as crypto-exchange in Uzbekistan. At the same time, the crypto asset is a set of records in the blockchain that has value and owner. The legislation on securities, exchanges and exchange activities does not apply to the activity on turnover of crypto-assets and crypto-exchanges. The license for implementation of activity of crypto-exchanges is issued exclusively to foreign legal entities through establishment of subsidiaries or other enterprises in Uzbekistan. 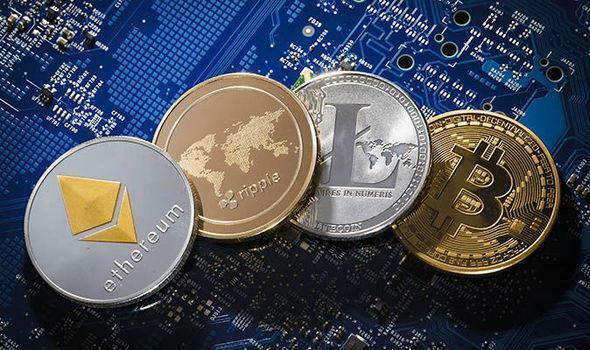 The functions of monitoring the activities of crypto-exchanges in terms of their compliance with the legislation on combating the legalization of the proceeds obtained from criminal activities and the financing of terrorism are assigned to the body licensing the activities of crypto-exchanges, and the relevant authorized state bodies. The land plots for the implementation of industrial mining (usage of over 100 KW/h) are allocated without holding an auction, in special territories defined by "Uzbekenergo" JSC and "Uzbekgidroenergo" JSC in coordination with the National Project Management Agency under the President of Uzbekistan. Also some mandatory requirements for crypto-exchanges are stipulated in the resolution: the presence of a formed authorized fund in the amount of not less than 30,000 minimum wages in the form of cash on the date of filing of the application, of which 20,000 are reserved on a separate account in a commercial bank of Uzbekistan; the presence of a functioning electronic system of crypto-exchange trading, placed on servers located on the territory of Uzbekistan, and complying with the requirements stipulated in the Regulations on the procedure of licensing of activity of crypto-exchanges; availability of rules for crypto-exchange trading; implementation of quotations for crypto-assets based on the ratio of supply and demand for them; storage for five years of the information about transactions of customers with crypto-assets, as well as the customers' identification data and the materials on interactions with customers, including the business correspondence. At the same time, it is important that the crypto-exchanges in the territory of Uzbekistan would be given the right to: receive remuneration for the rendered services, in particular in the form of crypto-assets, set the size of remuneration and the procedure of charging the remuneration to the participants of the trading (customers); organize exchange transactions with residents and non-residents aimed at the acquisition and (or) alienation of crypto-assets in exchange for national and foreign currency, as well as the exchange of certain crypto-assets for other crypto-assets.